After last year’s hugely successful debut, Houghton is back with a killer lineup for its second edition. 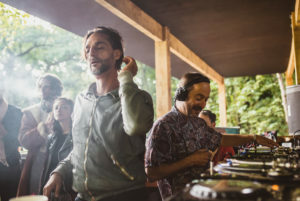 Curated by Craig Richards, this year’s lineup will welcome back headliners like Ricardo Villalobos, Andrew Weatherall, Seth Troxler, Nicolas Lutz, Ben UFO, Magda, Sonja Moonear, Optimo and Margaret Dygas. Plenty of new names have been added to the mix including Perlon’s Zip, man of the moment Objekt, Call Super, Shanti Celeste and many more to perform between August 9-12. Last year’s event was praised for it’s impeccable attention to detail, phenomenal line-ups, weighty sound systems, visionary production and a 24-hour music license that isn’t going anywhere. Richards also encouraged spontaneous back-to-backs giving artists more freedom for creativity.